For unknown reasons, the milk tea craze seems to have had a resurgence this 2018, fueling sugar-loving Filipinos to endure long lines just to get a taste of this old favorite. The "relaunch" of popular Taiwanese milk tea brand CoCo Fresh Tea & Juice may have had something to do with it. Despite first opening in the country in 2014, milk tea enthusiasts went cuckoo for CoCo this year, with fans and customers snapping photos of their favorite milk tea drinks and sharing them online. Just this week, another milk tea shop chain from Taiwan called Tiger Sugar launched in Bonifacio Global City. Despite the growing number of new local and international milk tea brands dotting Metro Manila, some of the pioneers have maintained their position as Filipino favorites as they still enjoy a strong following. Chatime and Gong Cha, in partcicular, are two of the most popular. The two brands, both of which also hail from Taiwan, opened their first shops in Metro Manila in 2011, catching the first wave of the milk tea craze in the country. Eight years since, the brands have already expanded nationwide as they set up shops in key towns and cities in Visayas and Mindanao. Collectively, the brands already have a total of 149 branches with Chatime only having an advantage of one more store than Gong Cha, based on the data both brands have provided in their respective websites and Facebook pages as of December 21. Like most competing brands, the two milk tea shops seem to come in pairs when setting up shop in Metro Manila as both made sure to have a store in almost the same list of malls as the other. For example, both brands made sure to have branches in the three largest malls in the metropolis: SM Megamall in Mandaluyong City, SM Mall of Asia in Pasay City and SM North Edsa in Quezon City. However, the two brands seem to target different cities and regions especially outside the National Capital Region. For one, Chatime has more branches outside Metro Manila than Gong Cha with 24, while the latter only has 20. The brand has invested more in the Visayas region as it has eight stores in that area, while Gong Cha only has five. Still, the two brands made sure to build their presence in the area differently. Outside Cebu, where they both set up shop in, the two brands changed paths and built stores in areas where the other isn’t present. Gong Cha has stores in Iloilo and Bacolod but not in Tacloban and Boracay which Chatime has shops in. The story is the same in Mindanao which Chatime has successfully dominated as it has a presence in three cities in the region while Gong Cha is only present in one: Cagayan de Oro City. The only region Gong Cha seems to have an advantage in is Luzon as it has a store in one of the most northernmost cities in the country, Baguio. The brand also has more stores in Pampanga with three, while Chatime only has one. 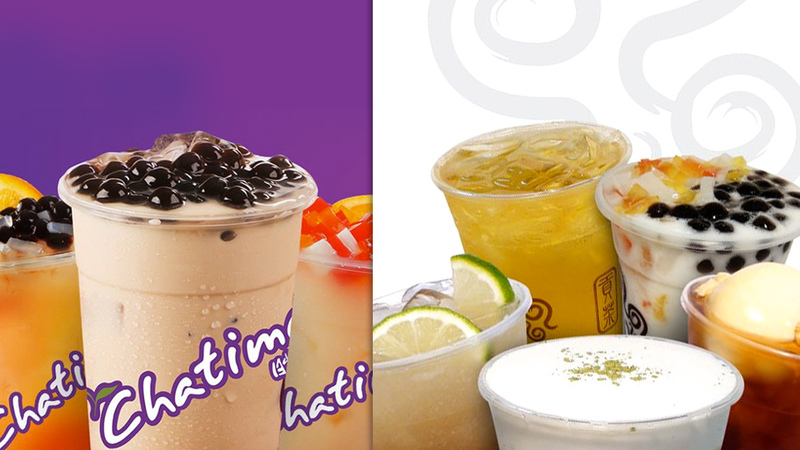 Still, the two brands can't compete with local milk tea shop Infinitea, which claims to have over 200 brands nationwide. The company does not have a published list of all its branches though, so its locations weren’t compared to the two aforementioned brands.